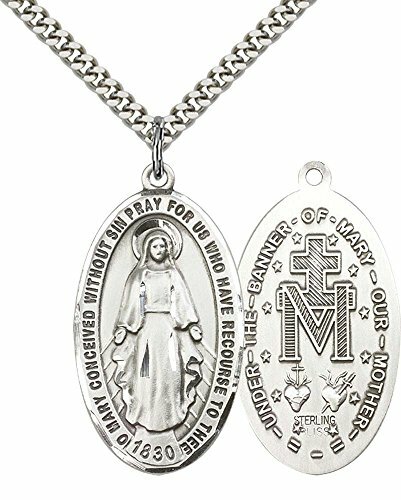 Sterling Silver Miraculous Pendant with 24" Stainless Silver Heavy Curb Chain. Includes deluxe flip-top gift box. Medal/Pendant measures 1 3/8" x 3/4".